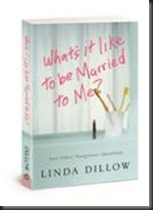 In her thought provoking book, What’s It Like to be Married to Me?, Linda Dillow encourages wives to look in the mirror and ask themselves this dangerous and challenging question. It is a fantastic workout that causes women to examine the influence that a wife has to the happiness of her marriage, to evaluate how she is living up to her responsibility to her husband and the Lord in marriage, and to challenge herself to work toward the goal of deepening the intimacy and oneness with her husband in marriage. Although the husband is the head of the home, it is the wife who controls the thermostat of the house and dictates the mood and atmosphere of the marriage. Linda thoughtfully encourages wives to change their heart’s attitude in the way they approach their responsibilities as a wife and gives great practical advice to apply in their marriages to bring about positive change and growth. She uses convicting examples from real women that serve the purpose of holding up a mirror to the reader, forcing them to ask themselves, “What kind of wife am I? and “What would my husband have to say about me?” Her book causes the reader to take the focus off of self and redirect it to understanding her husband as an individual and appreciating marriage as a holy and privileged gift from God. Linda’s delightful message is one that needs to be shared with all wives in every walk of life. Her encouragement and advice is rich in scripture and truth that has the power to transform any marriage into a beautiful relationship that glorifies the Lord. I would highly recommend this book to wives in every season of marriage, from a new wife just home from her honeymoon to a seasoned veteran who has been married for forty years! I was given a copy of this book by Waterbrook Multnomah to read and review. Linda Dillow is no stranger to publishing and adventure. She’s the author of Creative Counterpart, Calm My Anxious Heart, The Blessings Book, Satisfy My Thirsty Soul, and co-author of the Best-Selling book Intimate Issues. Linda and her husband Jody lived in Europe and Asia for 17 years training Christian leaders in closed countries with Biblical Education by Extension, during this time, Linda traveled extensively in Romania, Russia, Hungary, Poland and Asia. She taught women and helped them launch women’s ministries. She is a mother of four children, as well as a grandmother.